Carbon Monoxide or CO can be easily overlooked since it’s odorless, tasteless, and colorless, which is why it is labelled as the ‘silent killer’. The unfortunate reality is that we hear of someone passing due to CO inhalation, often in or near our local community almost every winter, furthermore January is the deadliest month for CO poisoning. This is avoidable and we hope this information will help. CO is produced from burning gas, wood, propane, charcoal, or other fuels in fireplaces, furnaces, gas water heaters, gas ranges, and many other appliances in homes. The effects of CO poisoning can include headaches, dizziness, nausea, vomiting, tightness across the chest, and even death. If you think there may be a problem or an alarm has gone off, immediately ventilate the home and turn off any potential source of CO. If it is serious leave the home and seek medical attention. Lastly, have a full inspection done on all appliances that could have caused the problem. DO have your fuel-burning appliances — including oil and gas furnaces, gas water heaters, gas ranges and ovens, gas dryers, gas or kerosene space heaters, fireplaces, and wood stoves — inspected by a trained professional at the beginning of every heating season. 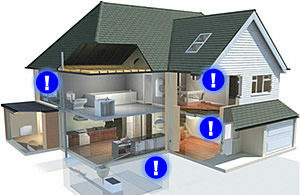 Make certain that the flues and chimneys are connected, in good condition, and not blocked. DON’T idle the car in a garage — even if the garage door to the outside is open. Fumes can build up very quickly in the garage and living area of your home. DON’T ever use a charcoal grill indoors — even in a fireplace. Every home with a fuel burning appliance should have at least one CO detector installed, ideally on every floor and especially near bedrooms. Batteries should be changed regularly and detectors do expire and should be replaced according to the manufacturer’s recommendations. 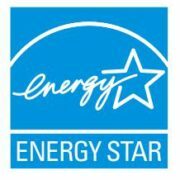 Contact us for professional maintenance, inspection, or installation.